Course Website: Official Website - Visit NCR Country Club (South)'s official website by clicking on the link provided. 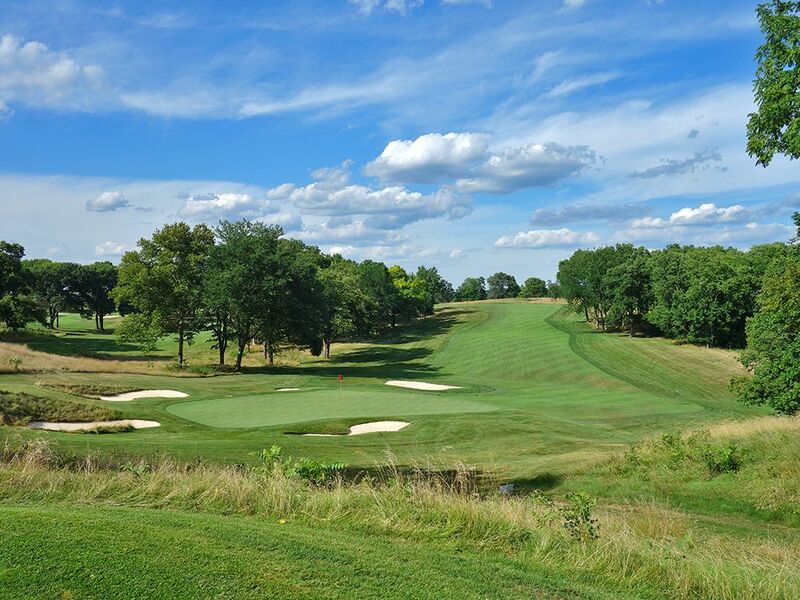 Accolades: Ranked 4th in Ohio on Golf Course Gurus' Best in State list. 1969 PGA Championship (Raymond Floyd), 1986 Women's U.S. Open (Jane Geddes), 1998 U.S. Mid Amateur (Spider Miller), 2005 U.S. Senior Open (Allen Doyle), and 2013 USGA Women's State Team (New Jersey). 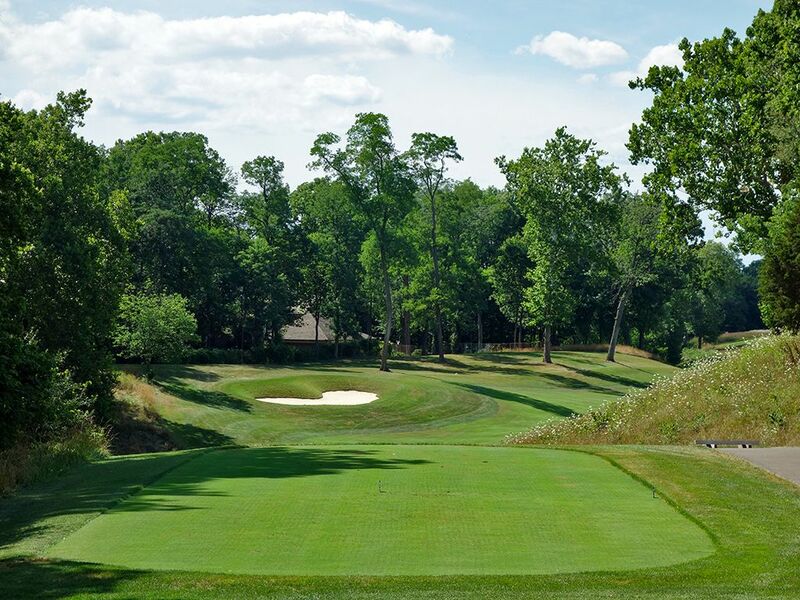 What to Expect: NCR (National Cash Register) Country Club is located just south of Dayton, OH on land shaped by a glacial moraine that feels like it was custom formed for the game of golf. The terrain features beautiful movement throughout which lends itself to some great golf holes that wind, climb, and descend a wide variety of ways and lengths. 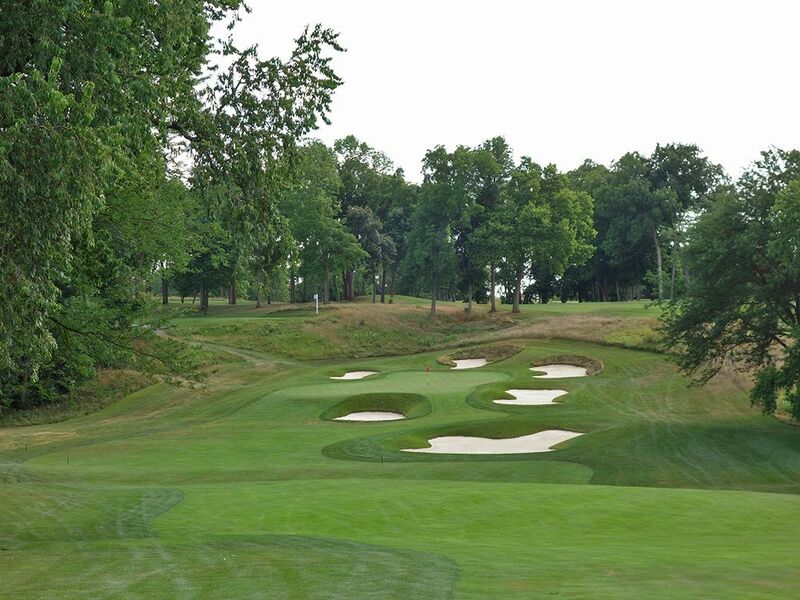 Combine those features with gorgeous bunkering and the result is a golf course devoid of a single poor hole. The greens are firm and roll true but can still prove difficult to jar putts on since they are often tilted which creates steadily sloping surfaces to navigate. As such, there are challenging up-and-down scenarios to face when the green is tilted away from you, so knowing where to miss can be a great benefit to your scorecard. One of the highlights of the routing at NCR's South course is the incredible collection of par fives. The 5th and 6th feature back to back three-shotters before starting the back nine with yet another thoroughly impressive par five. 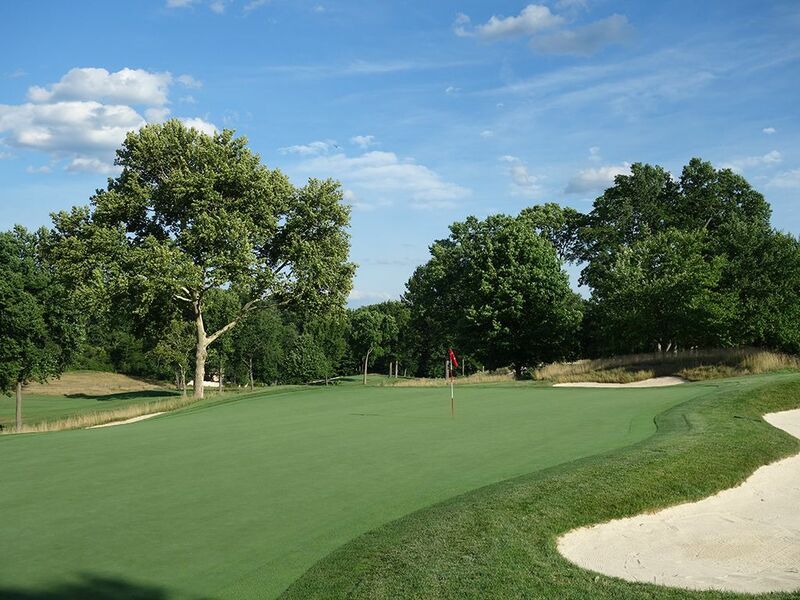 A dedicated maintenance staff keeps the bentgrass fairways and greens in beautiful playing condition while the bluegrass rough can prove to be a formidable challenge. 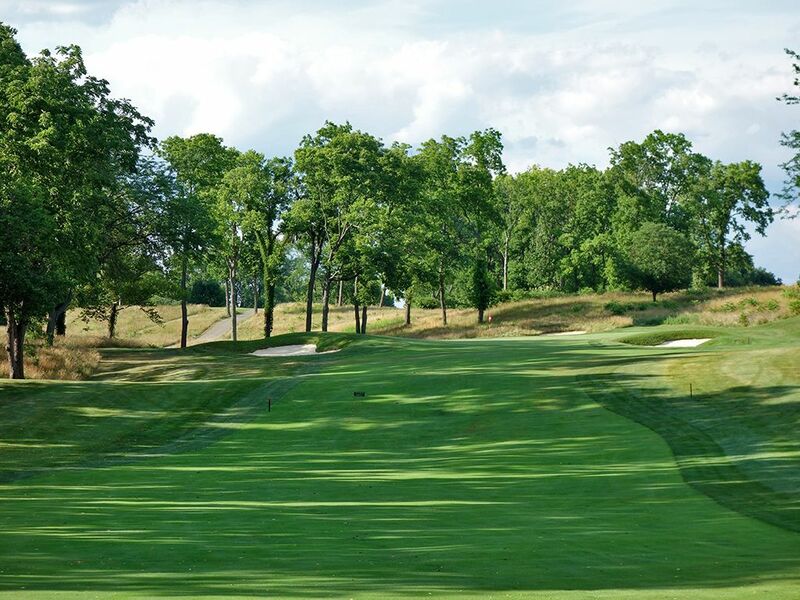 The club's challenging South course has hosted a handful of USGA and PGA events and frankly I'm surprised it hasn't been targeted for more because it is an excellent overall test of player's length, accuracy, and short game. Ultimately, NCR has a classic look and feel with no gimmicks and is simply one of the most underrated courses in the country; it is that good. 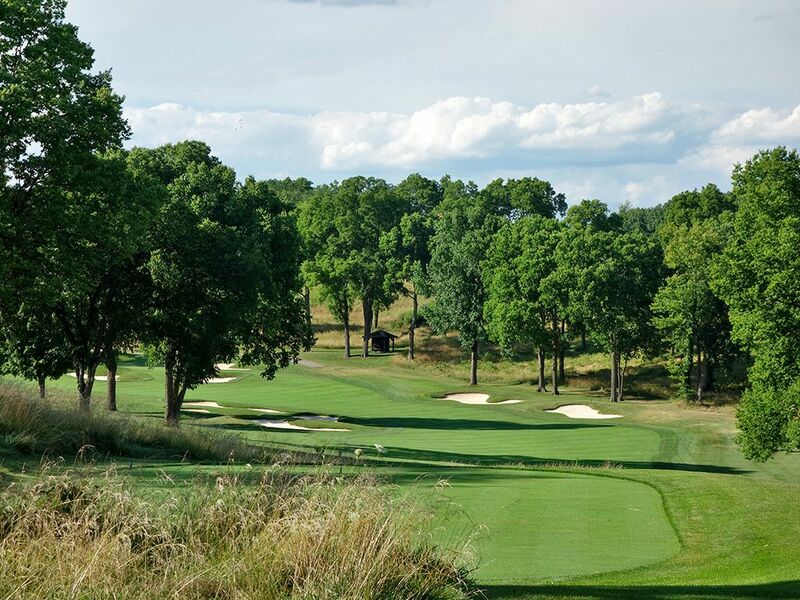 Signature Hole: 10th Hole – 547 Yard Par 5 – The 10th hole is the last time you'll see a par five when teeing it up on NCR's South course, but it is good enough to not require an encore. The tee shot is rather unassuming with a left to right tilt in the fairway that begs for a fade off the left bunker to set up the ideal positioning on the next shot. Upon cresting the hill players are presented with a half dozen bunkers that dot the hillside that the green is set in. The right side is especially sandy with four of the six bunkers flanking the right third of the putting surface while the deepest bunker fronts the centerline. A towering fade is ideal as it will work against the right to left sloping green and give you your best chance to roll in your next shot. The beautiful bunkering and natural terrain is on fully display on the 10th and is an absolute treat to play as you embark on the outstanding back nine. 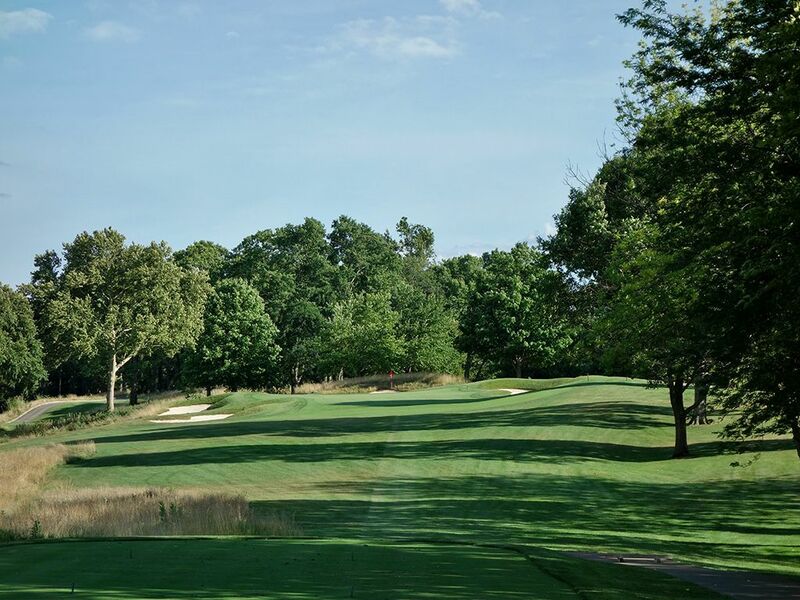 Best Par 3: 15th Hole – 229 Yards – The final par three at NCR's South course is a stout challenge amplified by the fact that the hole plays slightly uphill and features danger with any miss. 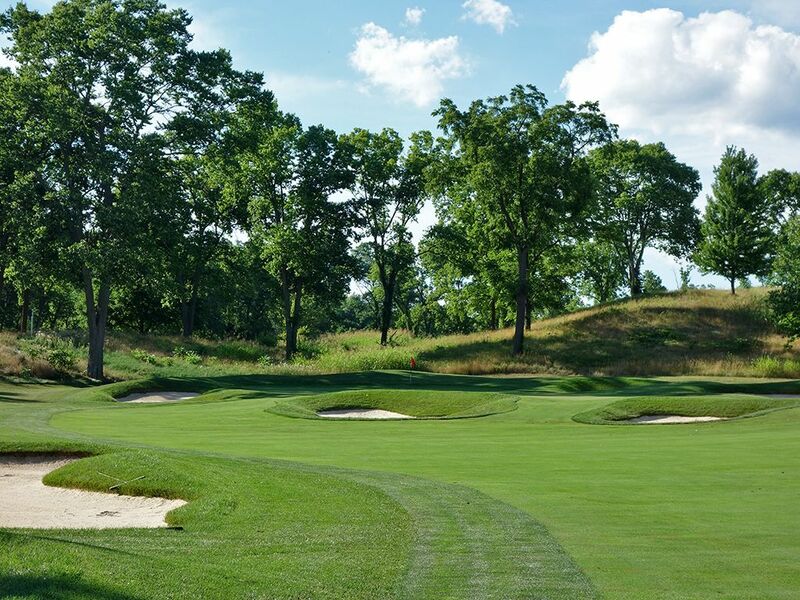 Heading to the right will bring into play the largest of the four bunkers around the green while going left can send balls tumbling down the fescue laden hillside. The green tilts significantly from right to left as well as away from you and thus creates one demanding shot to pull off, so you'll want to stay focused the whole way in. This is a great match play hole as is it is demanding for every skill level and can put pressure on a player holding a lead. Best Par 4: 14th Hole – 398 Yards – An elevated drive greets you on the 14th hole with the tee box sitting 30 feet above the landing zone that is positioned on the corner of this dogleg left two-shotter. Four bunker protect the left side of the fairway while a pair of bunkers lie in wait beyond the corner of the dogleg in case players carry their tee ball too far. The ideal tee shot maxes out at 265 yards and sets up a wedge or low iron shot into an elevated green flanked in the back by trees and fescue while a quinary of bunkers huddle around the putting surface. 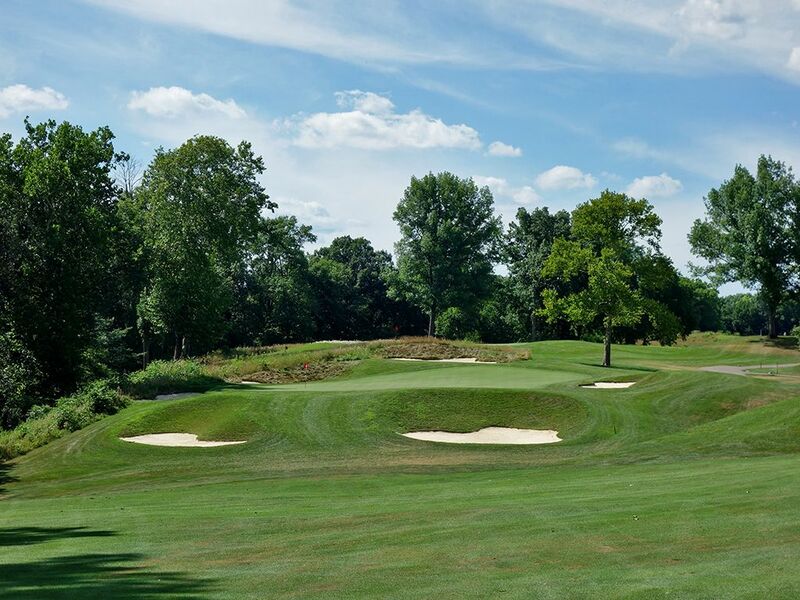 At less than 400 yards you'd think this hole would be fairly easy, and it is if played right, but there is plenty of elements waiting to derail plans of greedy players. 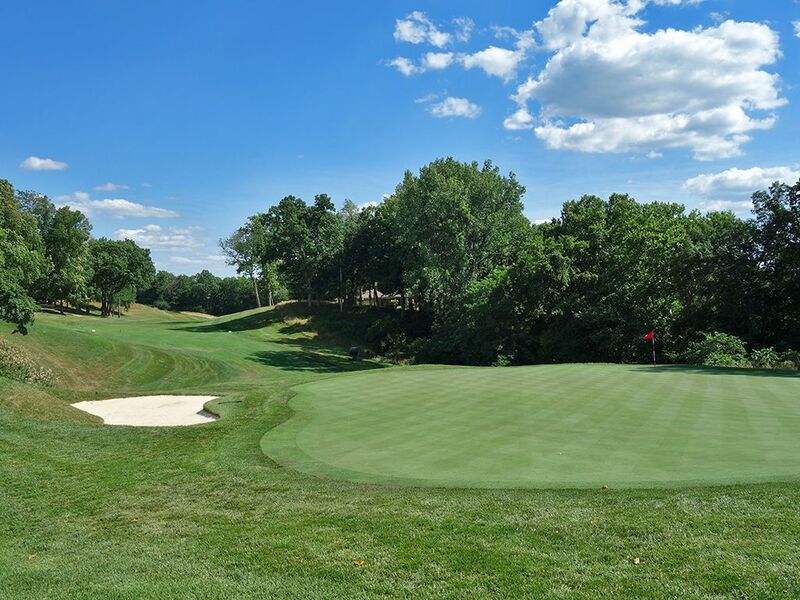 Best Par 5: 6th Hole – 558 Yards – There are only three in total, but the collection of par fives at NCR's South course is absolutely top shelf. The 6th is the second of back-to-back three-shotters that features an elevated tee shot to a concave fairway that doglegs right off the bunker setting the left boundary. Upon making the turn in the descending fairway, players are greeted by an impressive approach shot that includes hitting to an elevated green surrounded by a half dozen bunkers. The putting surface slopes hard from right to left which will surely test your short game and should be considered when deciding how aggressive to be with attacking the flag. The beginning holes at NCR's South course start to give you a taste you are in for something special, but the 6th hole is when things kick into a new gear; I loved it! 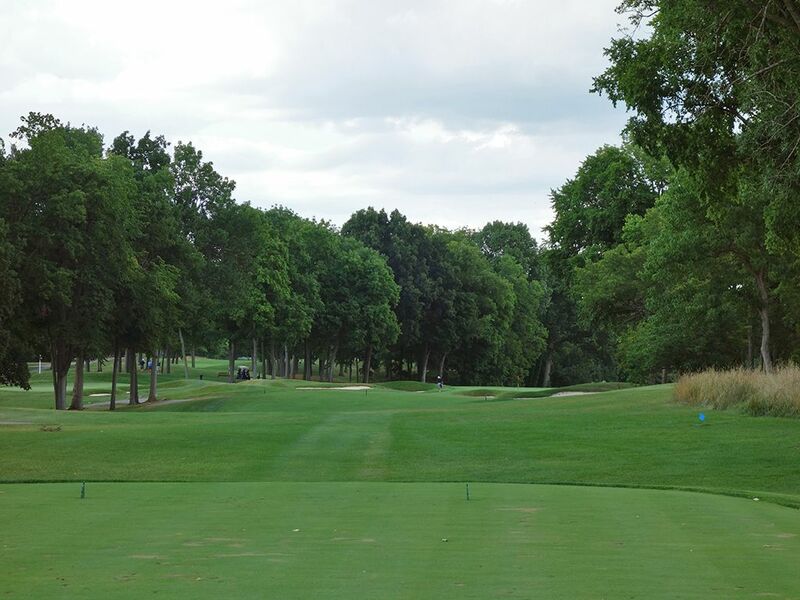 Birdie Time: 17th Hole – 353 Yard Par 4 – If you got scarred up by the 16th hole, now if your time to take a stroke back. At just 353 yards from the tips this short par four asks players to hit a 250 yard drive that goes beyond the fairway bunker on the right but comes up short of the bunker on the left. The short approach plays over a trio of bunkers that front the green and they should only come into mind when the pin is in the front right corner. With a scoring club in your hand, take dead aim and wedge it tight to make up for any mistakes on the previous two challenging holes. Bogey Beware: 16th Hole – 455 Yard Par 4 – The final stretch of holes aren't for the weak of heart and the 16th is the most demanding of them all. 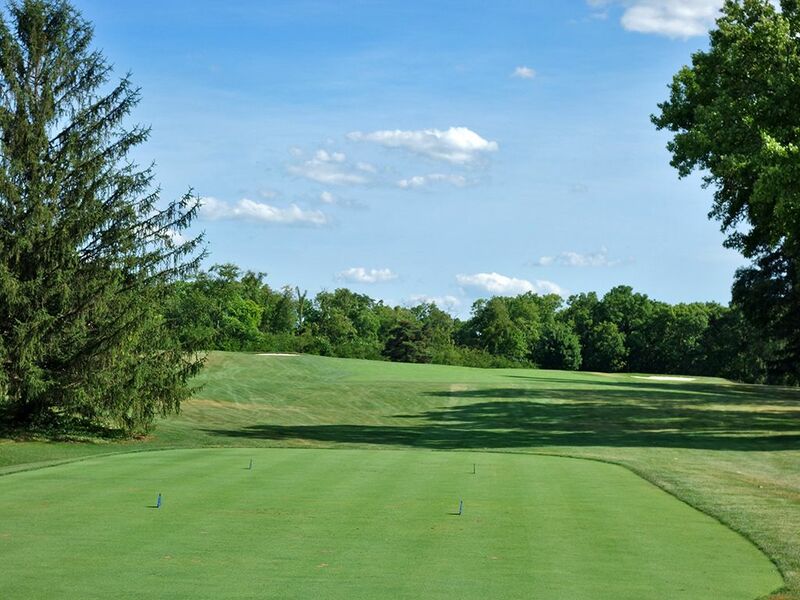 After needing to hit a long, straight tee shot, players will be faced with a stern approach shot that climbs 20 feet to the green that is flanked on each side and in the back by bunkers. Like the 15th hole, the green runs from right to left and away from the player which makes holding the putting surface even more challenging considering most players will be taking a long club in on their approach shot. At this point in the round you are holding on for dear life if you are trying to protect a good score or a lead in a match.